From all beauty products, blush is hands down my favorite and most essential. It brightens up the face, making it look feminine and refreshed. However, it can also be the break the entire look if used inappropriately. So, yes, applying blush has its rules, and in this case, rules are not to be broken. Remember that over all, blush has to look natural and believable, and following these rules will help you get there. Rule #1: Don't apply blush to a bare face. Applying blush to a bare face will rarely flatter you. On the contrary, it can emphasize redness and pores, and accentuate under-eye circles, blemishes, and spots. Before blush, apply coverage, whether it's concealer, pressed powder, tinted moisturizer or just a layer of foundation. The skin should look even before applying a different tone to the face. Rule #2: Find the right formula and color. 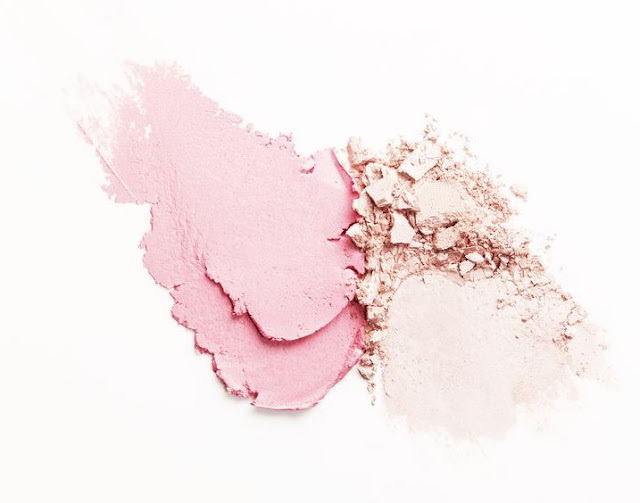 There are tons of formulas available on blush, from liquid and mousse, to powder and gel. Choosing the right formula is essential. For oily skin, powder blush is the most recommended, while cream or liquid blush tends to flatter drier and normal skin. Color is as important as formula -maybe even more-. Light skin tones look better with peachy and light rosy tones and more intense colors as hot pink and orange look better on darker skin tones. -One simple secret for knowing the best, most natural color to apply is gently pinching your cheeks and matching the shade of your pinched skin to the blush color-. Rule #3: Know proper placement. The rule of thumb for where to place blush is on the apples on the cheeks. Smile to lift the apples up, applying the blush on top and outward for a flushed natural look. Something to really keep in mind is staying above of the nostrils. A good trick is to place two fingers next to the side of the nose, and apply blush at that spot, taking it up and blending as you go, roughly staying in line with the outer corner of the eye and the top of your ear, without going up too far. Rule #4: Use the rights tools. Using the right tool when applying makeup makes a major difference on the final look, but I get it, the huge array of brush types can be a little overwhelming. For powder blush, my go-to option is a rounded natural bristle brush. A brush the same size of your cheeks is the perfect size, so you'll apply the needed amount of color. For gel or cream blush, the best tool is your finger. It's the easiest way and it makes the blush look more natural. This is just one step of the process, but since blush gives a different tone to the skin, applying it the right way is crucial. For more beauty tips and tricks, check out this guide packed with tons of practical makeup advice. Most of them are live-savers.